A new initiative to give dogs a warm welcome in Bury St Edmunds has been launched by Bury St Edmunds Town Council, Bury St Edmunds Canine Creche, Bury St Edmunds and Beyond and OurBuryStEdmundsBID. Shops, eateries, places to stay, attractions, and other businesses will be able to display the #dogfriendlybse paw print logo sticker in their window and put out a dog water bowl to show they are dog friendly. 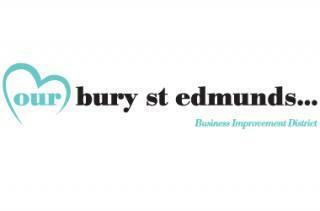 The initiative, funded by Bury St Edmunds Town Council, aims to help visitors and residents easily identify businesses that are dog friendly in and around Bury St Edmunds. ‘Dog-Friendly Bury St Edmunds’ was launched on Monday (24 September) at Really Rather Good, a café in Abbeygate Street and just one of the many dog friendly businesses in the town.